A crazed fan by the name of Anthony Charles Thomas Maxwell rushed the stage after Beyoncé and Jay-Z were making their exit following a performance in Atlanta on August 25th. The man in a white jersey attempted to reach the couple but the dancers had rushed the guy before he got any closer. Moments later security caught up with the man and detained him. Witnesses at the concert thought that a fight was breaking out in all reality that the dancers were subduing the individual. Maxwell was booked to the Fulton County jail and charged with disorderly conduct and battery substantial physical harm. 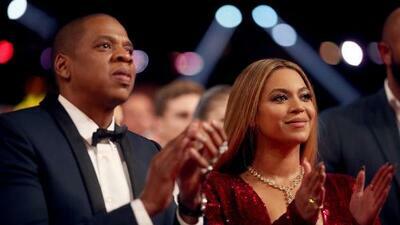 Mr. and Mrs. Carter made a statement choosing not to press charges against the intoxicated male. The Carters also made a statement thanking the tour security and the dancers who had handled the situation professionally. Queen Bey's rep made a statement on her Instagram thanking all of the fans for their concern. Some words of advice: Don't mess with the Beyhive.